The Vito & Vito Show Blog: The Religion of "Peace?" 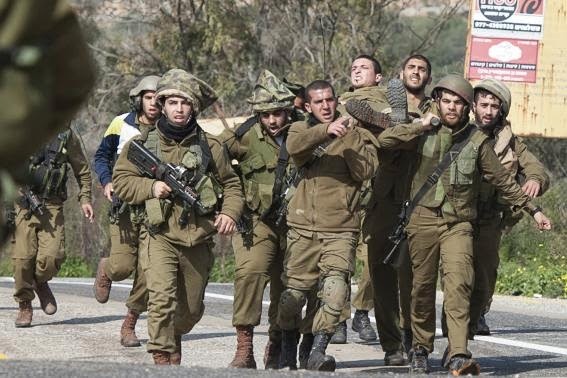 Two Israeli soldiers were killed today, along with a UN peacekeeper after an exchange of gun fire between the terror group Hezbollah and Israel. This was the most violent clash between the two sides since the 2006 war according to Reuters. Israel, a constitutional democratic republican government in the Middle East, suffers day in and day out from Islamic extremism. Those who proclaim to "defend" the prophet Mohammed do so in a bloody jihad against those who agree in freedom. Muslim extremists do not care about such a principle. They spit on individual rights, freedom of speech and our way of life. but if they desist, then lo! Allah is forgiving and merciful. And fight them until there is no more Fitnah [disbelief and worshiping of others along with Allah] and worship is for Allah alone. But if they cease, let there be no transgression except against Az-Zalimun (the polytheists, and wrong-doers, etc.)" Quran (8:39) - "And fight with them until there is no more fitna (disorder, unbelief) and religion should be only for Allah"
Islam is not a religion of peace and terror groups like Hezbollah, Hamas and ISIS have staged war on freedom and liberty.